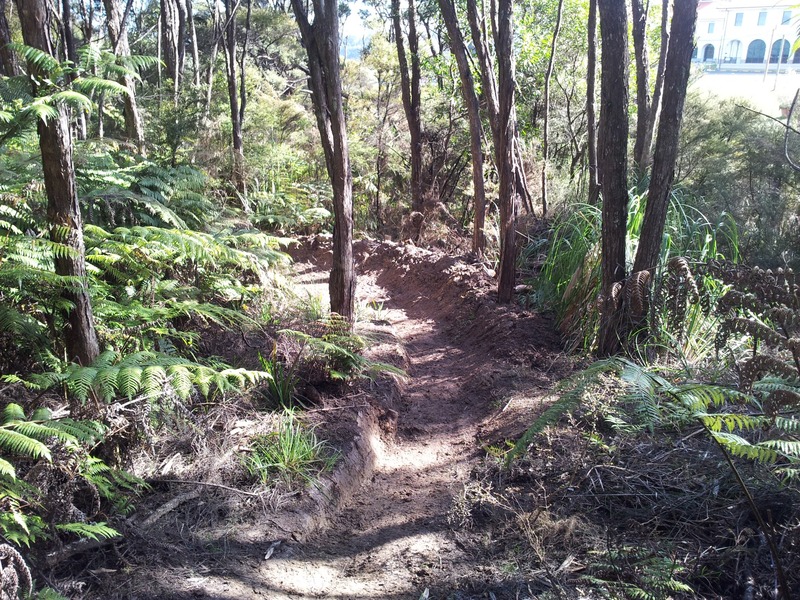 After dropping Judith at school this morning, I ducked into the bush behind Massey University to put the finishing touches on the berm I have been making on the Royal Albany Bicycle Trail. This spot was a muddy hole where water collected on the track; I tried digging drains last Spring, but the winter rain destroyed my work. Now the track slopes the right way, and a culvert diverts water under the berm. I tried riding it yesterday, but the sucky approach made it hard to maintain speed. Hopefully I’ve fixed that now, when it dries out it should be fun to ride.